Three of the biggest names in OPM come together for one memorable night as The Filipino Channel (TFC) bring together the singer-songwriter Ogie Alcasid, singer-actor Piolo Pascual, and Asia’s Phoenix Morissette Amon, via “OPM Overload” happening at the Dubai World Trade Centre on April 5. Three artists, different styles, one stage will surely lead to one weekend filled with nothing but great world-class music that is best shared with family and friends. Ogie will bring the crowd to a trip down the memory lane with his well-loved chart-topping hits that many surely know the lyrics by heart. On the other hand, the crowd will surely be smiling all throughout Piolo’s performance, giving his own interpretation to some popular songs from then and the present that had won the hearts of many. Returning to the Middle East this year is Morissette for a show-stopping but heartfelt performances of her original hits and own rendition of the most-loved hits of today. 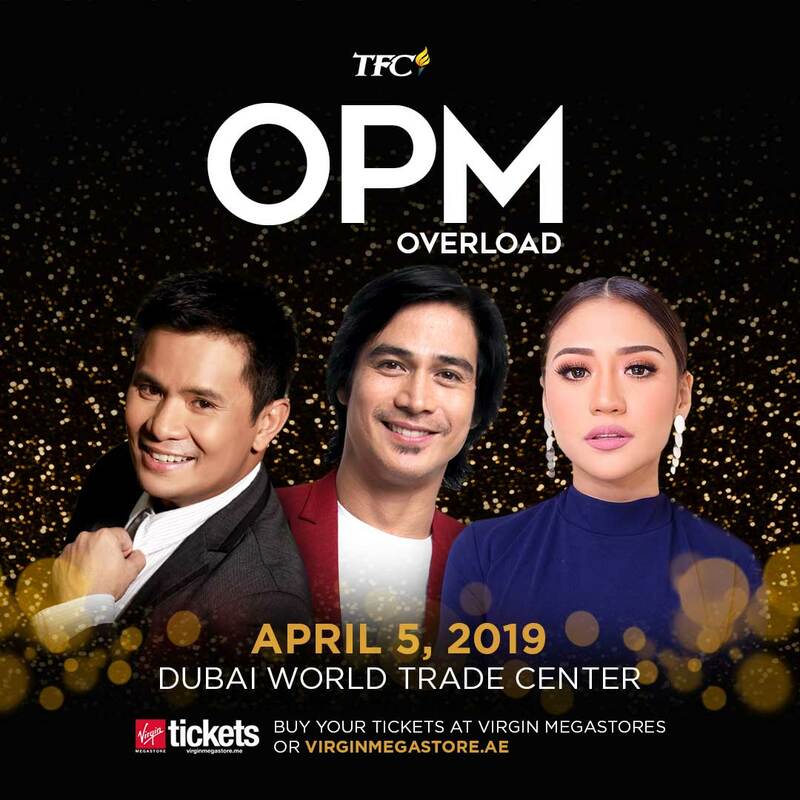 Do not miss this rare chance of watching Ogie Alcasid, Piolo Pascual, and Morissette Amon share the same stage in “OPM Overload” happening at the Dubai World Trade Centre on April 5. Buy tickets online via tickets.virginmegastore.me/ae or to the following Virgin Megastore branches: Deira City Centre, Dubai Mall, Mall of the Emirates, Mercato Mall, Mirdif City Centre, Arabian Ranches 2, Sahara Centre, Abu Dhabi Mall, Yas Mall, Al Wahda Mall, and Al Jim Mall. Tickets are also available at the Zoom Metro Station branches: Deira City Centre, Burjuman Centre, Union, Al Rigga, ADCB, Al Jafiliya, Noor Bank, Rashidiya, Dubai Mall, MOE, IBN Batuta, AbuBaker Al Siddique, and OUD Metha. 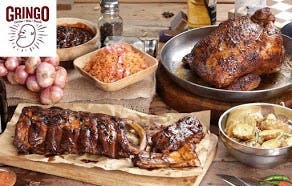 You may also visit these restaurant partners for tickets: Carinderia ni Tandang Sora in Centurion Tower, Uling at Parilya in Al Satwa, and Off the Hook sa Centurion Tower. For more details about “OPM Overload”, visit http://emea.kapamilya.com/events/middle-east/opm-overload or facebook.com/TFCMiddleEast. Connect with your fellow global Kapamilyas, follow @KapamilyaTFC and @KapamilyaGlobalPR on Twitter and Instagram.